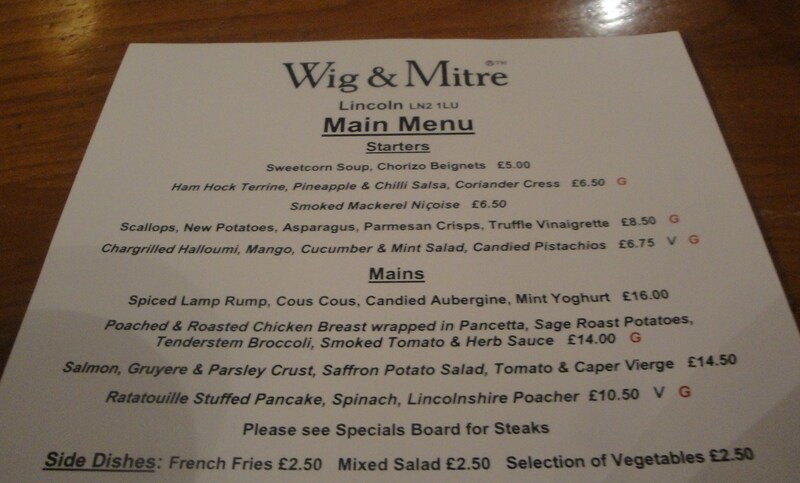 How a day trip to Lincoln ends up with a right Dog’s Dinner of meal! 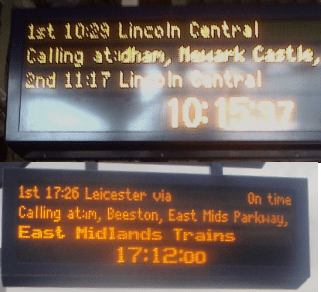 Some time between 10.15am when we got on the train at Nottingham to Lincoln, and 17.12pm when we got on the train to return, it all went pear-shaped and it ended up being a right Dog’s Dinner. What am I talking about? Well it transpired that the Varsity Pub in Lincoln has a dish served in an actual Dog Bowl called the Dog’s Dinner and in the spirit of adventure or was it due to some serious day time beer consumption I agreed to sample it. 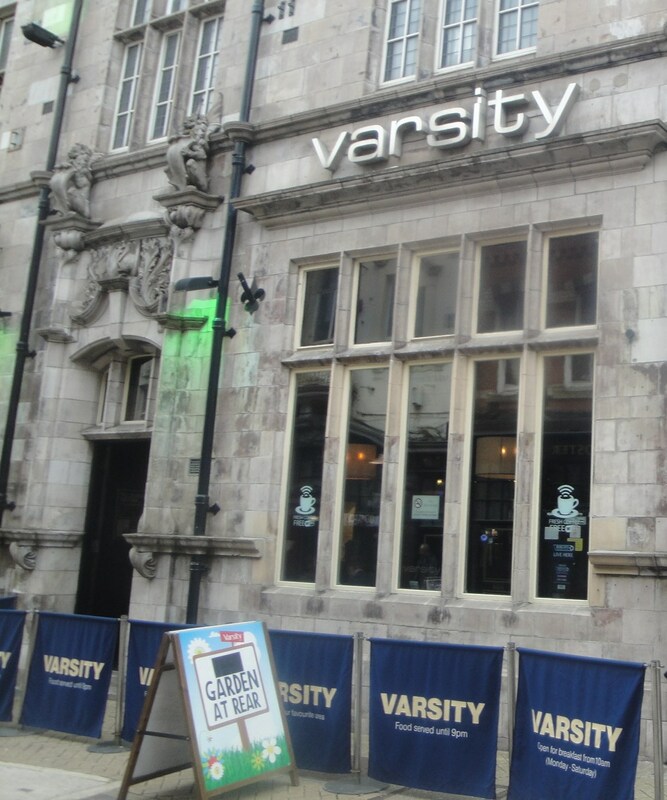 The Varsity pub is at 19/20 Guildhall Street in Lincoln and is part of the “Smith & Jones” chain of pubs. I have never heard of that group before although a little subsequent internet research tells me that the Cape in Nottingham is also one of theirs. 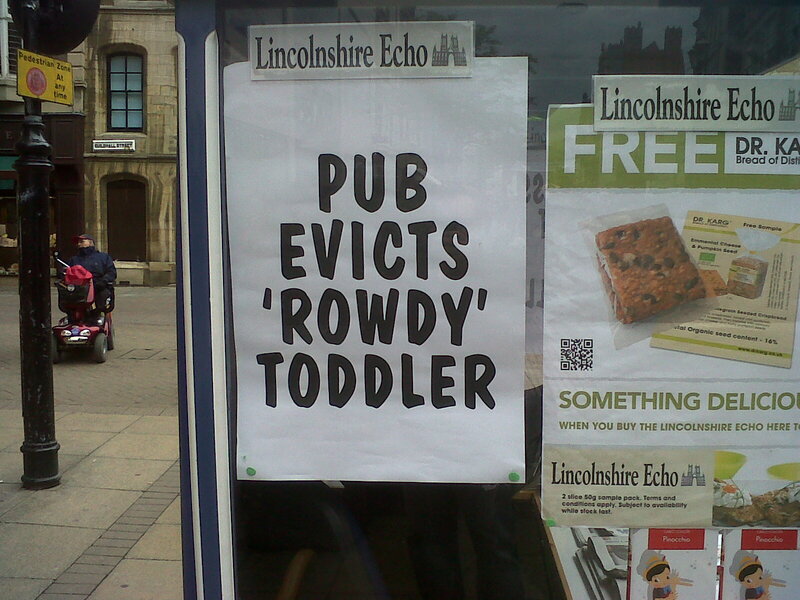 I am not quite sure how to describe the place, it is somewhere between a ‘Townie’ and a “student’ pub perhaps a perusal of their Facebook page would give you a better idea. 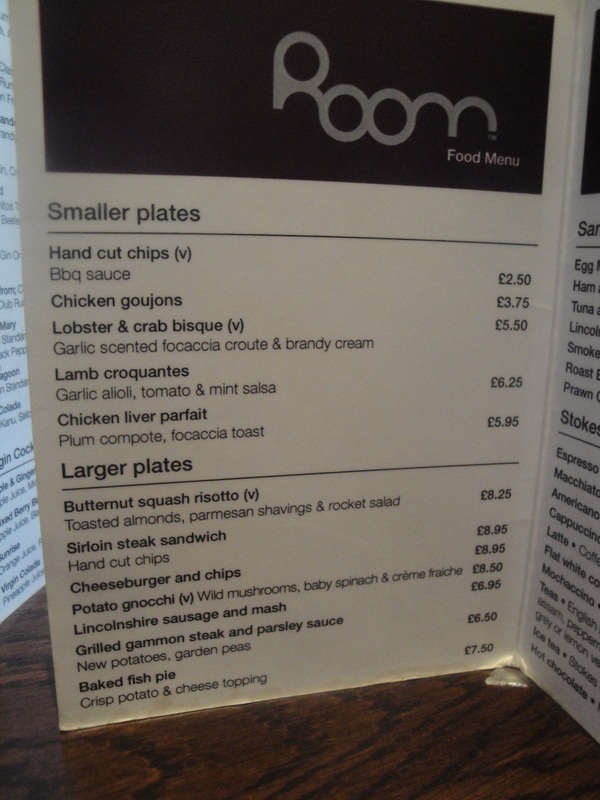 Lincolnshire Echo’s “Food Monster” reviewed the place back in 2011 and commented “If you’re younger and like somewhere with a fresh feel and you’ve an appetite for something a bit on the naughty side, then this is a good place to go”. I reckon that is pretty close. Anyhow back to that Dogs Dinner. 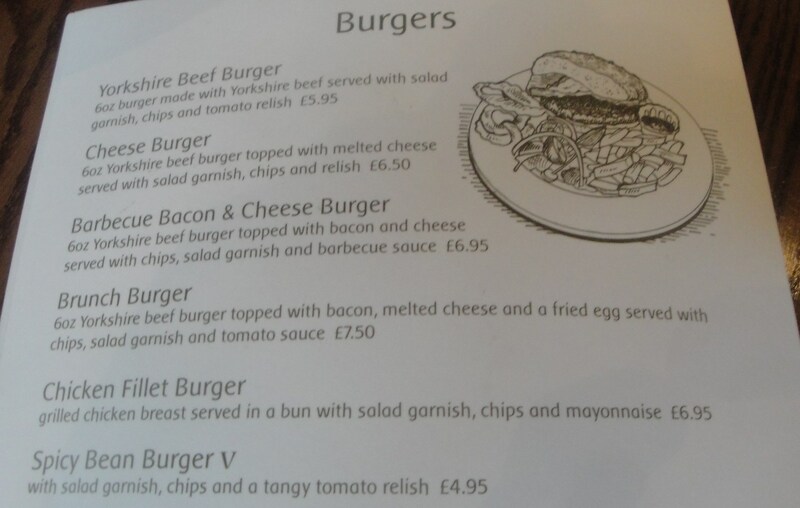 This was one of the dishes on their “Dirty Food” menu. 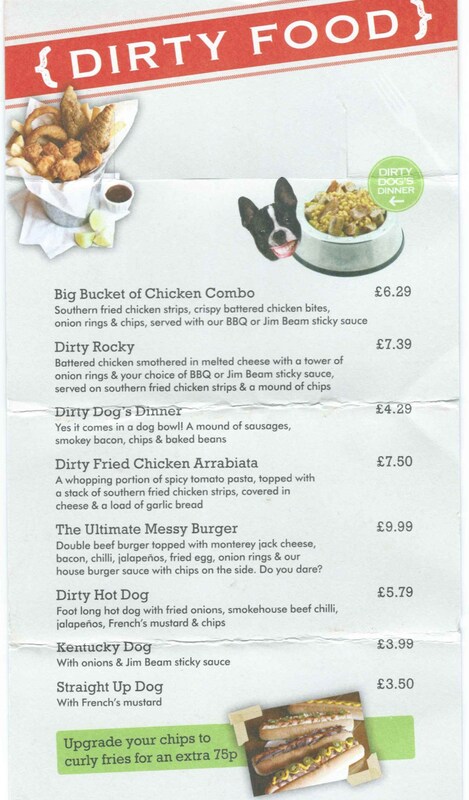 Described quite simply as “Dirty Dog’s Dinner – Yes it comes in a dog bowl! 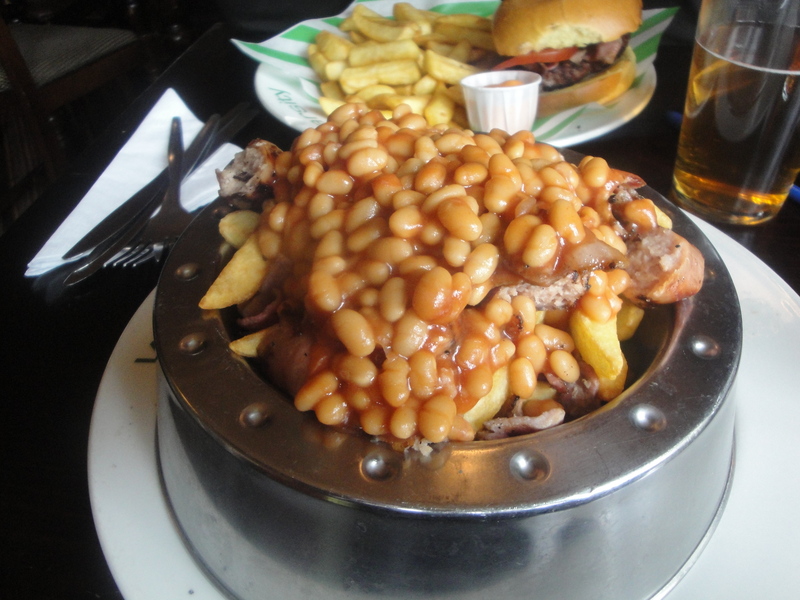 A mound of sausages, smokey bacon, chips & baked beans” for £4.29. I should have, but could not resist the chance to partake of this dish. 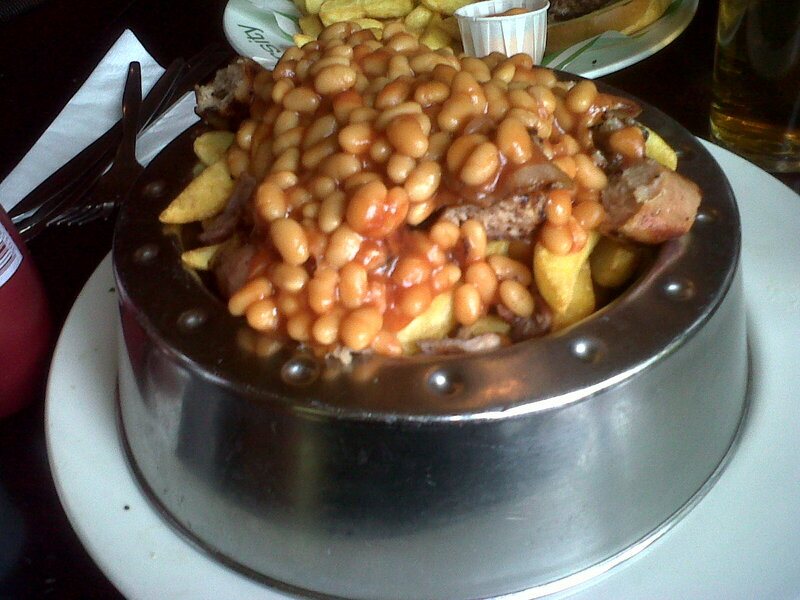 In all honesty if you put to one side the somewhat ridiculous but funny dog bowl element, you actually got a pretty comforting bowl of chips and beans, with a few chopped up bits of sausage and bacon. A bit like getting one of those tins of beans and sausages and pouring over your chips. It reminded me of some of my more glorious student cooking efforts from way back when. 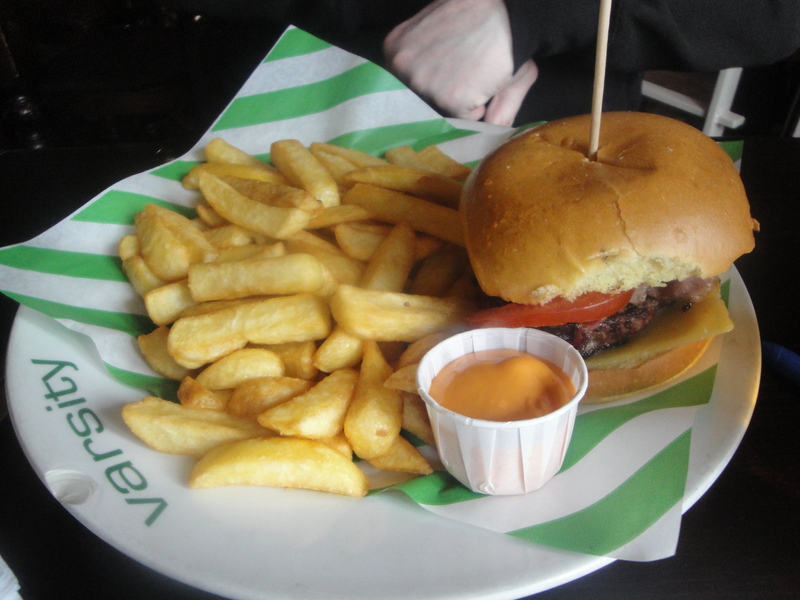 You could of course have been far more sensible like my companion and just had one of their classic burgers, but that would have not been so much fun. To be honest if it had not been for the promise of that shiny dog bowl I might have chosen one of their “Ultimate Messy Burger’s which was a “Double beef burger topped with Monterey jack cheese, bacon, chilli, jalapenos, fried egg, onion rings & house burger sauce with chips on the side.” The Dirty Food Menu asks you “Do you dare?” well no I didn’t really. So how did we end up at this point in the day thinking that this was a good idea? 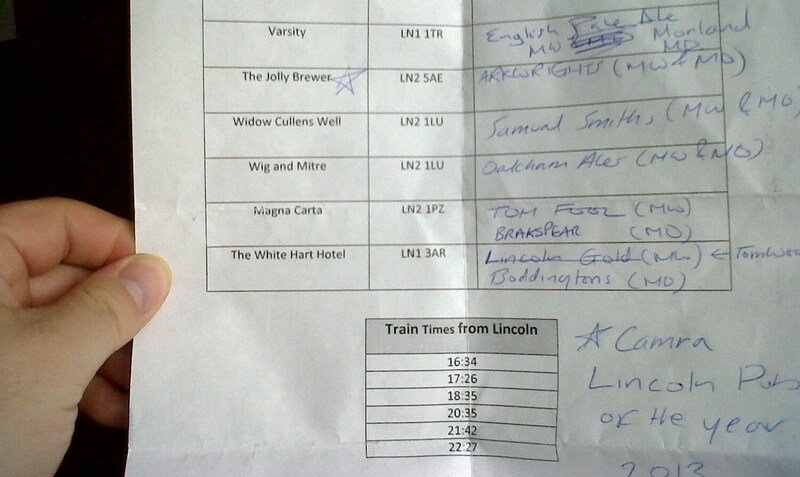 I blame my erstwhile food and drinking companion Martin for planning the day and compiling a list of places to visit. Far too organized I thought but as it happened well worth the effort. 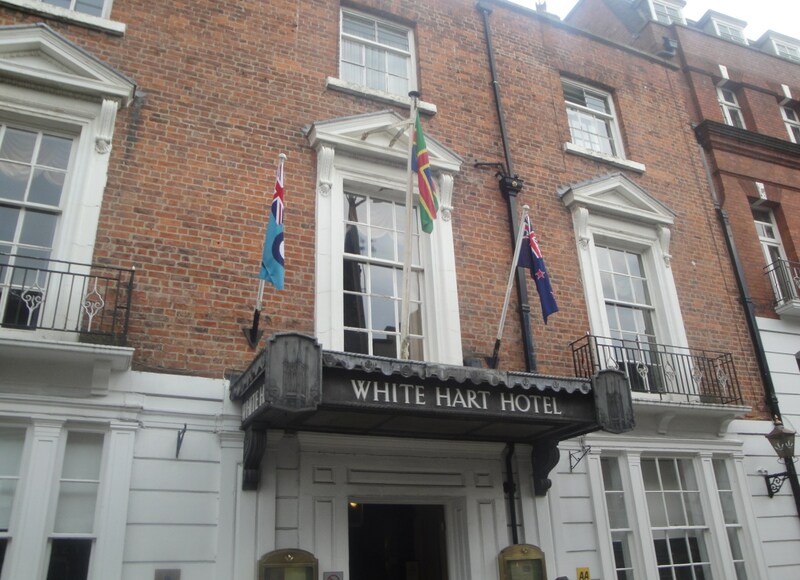 Next stop was at the White Hart Hotel which was about 200yds away across the other side of the square area. It was actually a hotel and seemed a little too posh to have been included in our beer trip but nonetheless we imbibed at their bar. 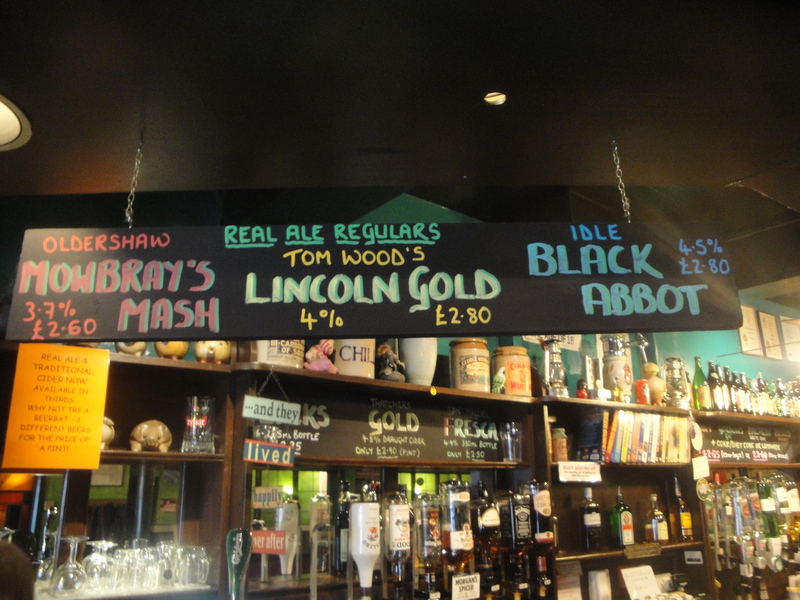 There was just the one real ale on offer which was Tom Wood’s Lincoln Gold. They ran out after pouring one pint so I sadly ended up with a Boddingtons. We could have eaten here as there were some tasty looking sandwiches being served in the lounge area “The Room” on the White Hart website they describe the Room as “Room is a sophisticated cocktail bar offering the very best in Cocktails champagnes and wines – not to mention great beers from around the world” (Note: they had one real ale, boddingtons, and a lager). Although I wouldn’t come back here for a drink I would like to try a meal at the Hotel restaurant; The Lincoln Grille. I had a look at the menu and was tickled to try the “Morteau sausage salad – Chargrilled asparagus, soft poached egg & sauce at £6.95” and the “Roast fillet of pork & black pudding mash – Madeira jus, Savoy cabbage & pancetta parcels for £15.75”. 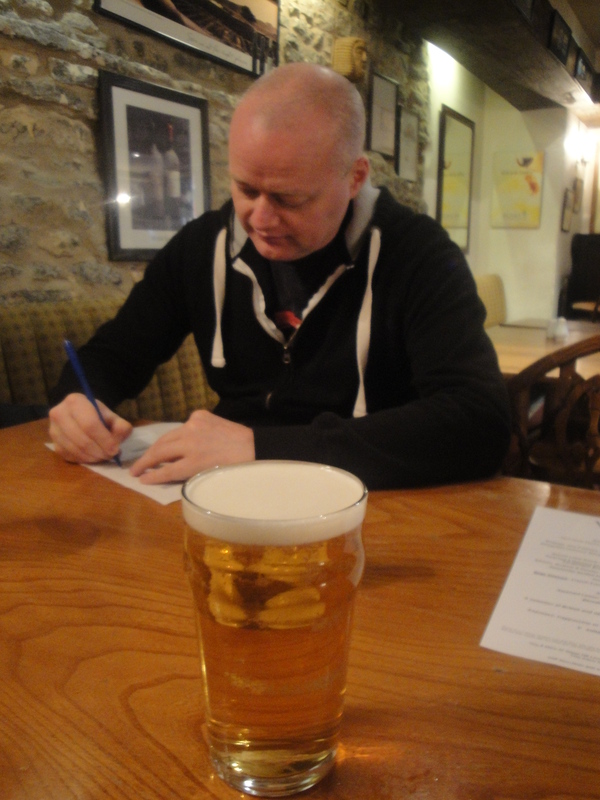 It turns out that this pub crawl designed by Martin was not requiring that much walking. 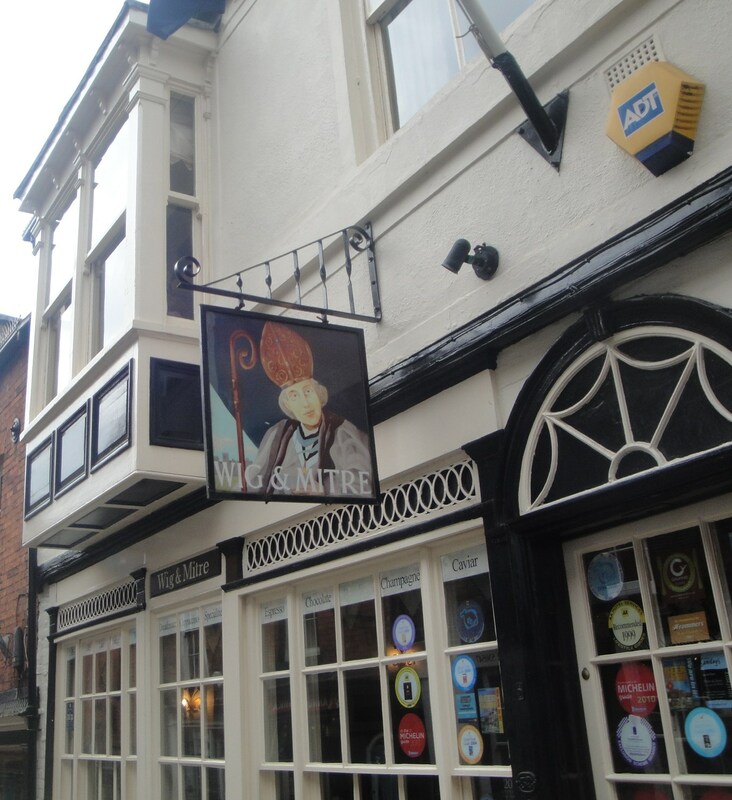 The next pub was the Wig and Mitre which was about 10 yards back down the “Steep Hill” away from the Magna Carta. 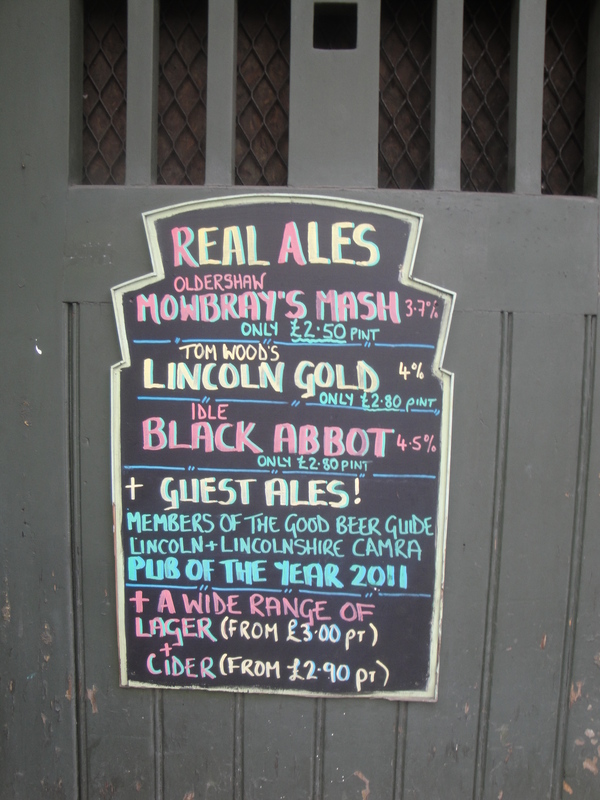 Now we were starting to get back on track with some proper pubs serving some decent ales. 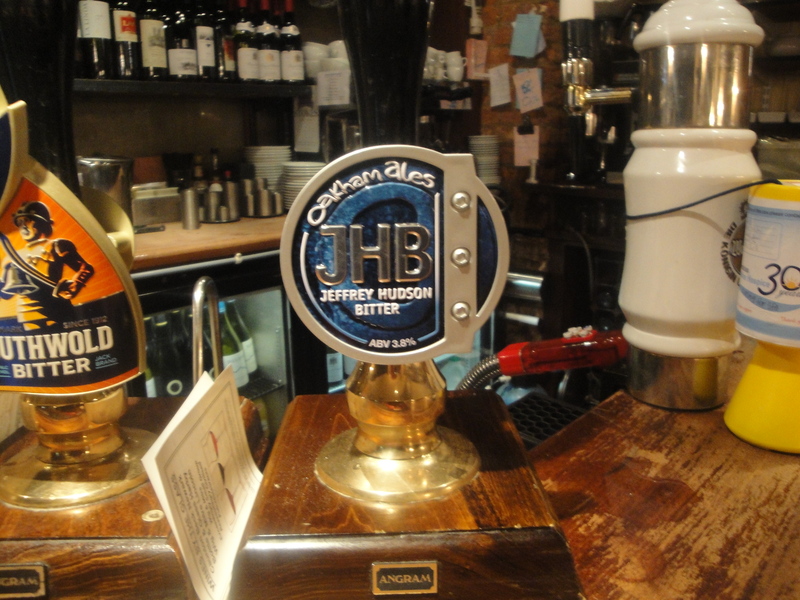 It was pleasing to find that they had a decent selection of real ales on tap, and even more pleasing to find that they were happy to assist our selections by providing us with samples of each. In the end we opted for two pints of Jeffrey Hudson Bitter from Oakham Ales. On their website they describe their beer as “A golden beer whose aroma is dominated by hops that give characteristic citrus notes. Hops and fruit on the palate are balanced by malt and a bitter base. Dry hoppy finish with soft fruit flavours”. All I can say is that it was jolly nice and if we were not on a beer sampling mission through Lincoln I might well have enjoyed sampling several of these. 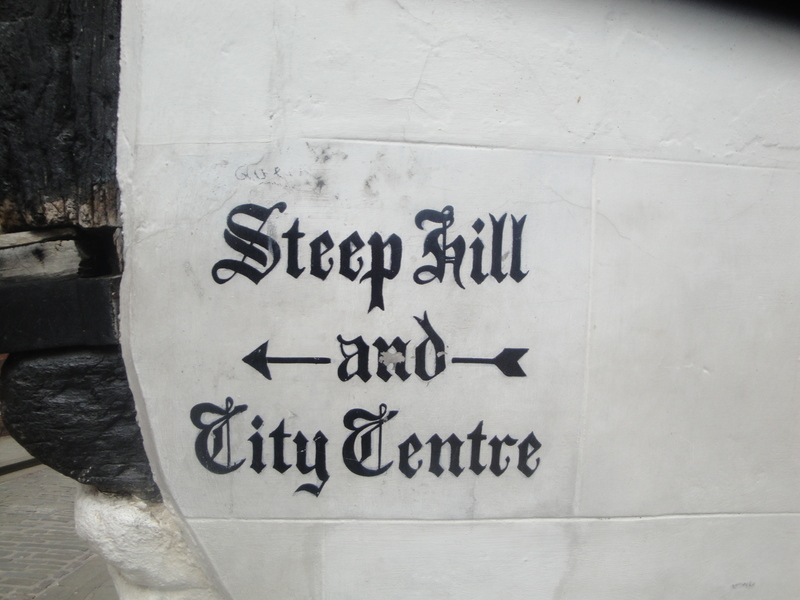 It was not to be though, Martin checked the list and we headed out of the door and down the Steep Hill to find Widow Cullen’s Well, the next pub. We did not go far, the next pub was practically next door. As I said pretty easy walking so far. There was just the one cask ale on offer which was Sam Smiths. As it happened that was OK with me as I quite like that beer and even better it was only £1.80 a pint. The crowd in here was a little less classy than it had been in the Wig & Mitre, I got the impression that quite a few of the locals were taking distinct advantage of the well priced beer. The beer was good and the menu looked to be reasonable mostly concentrating on standard bar food with a leaning towards the burger. but once again we failed to eat something sensible. 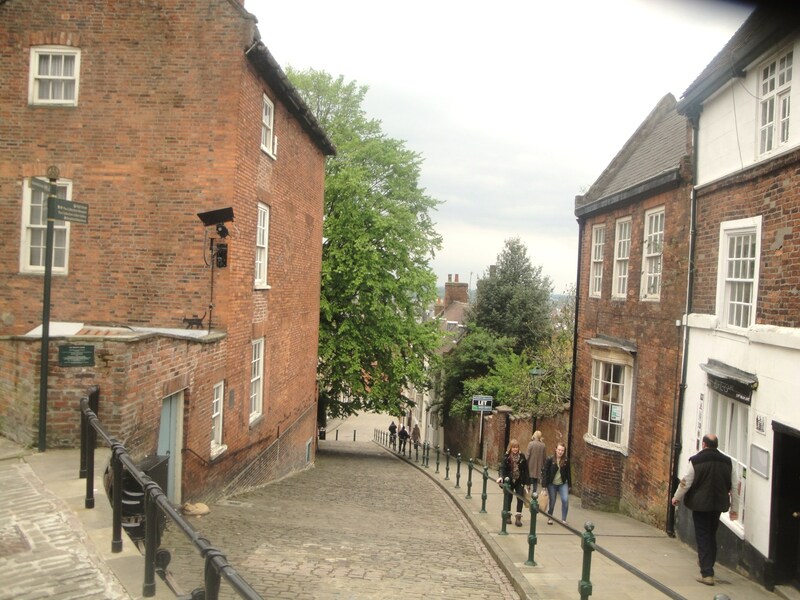 Now it was time to work our way back down hill in search of the next point of interest (ok pub). It was much better walking back down the hill than it had been walking up it. That part of the day had been well planned. 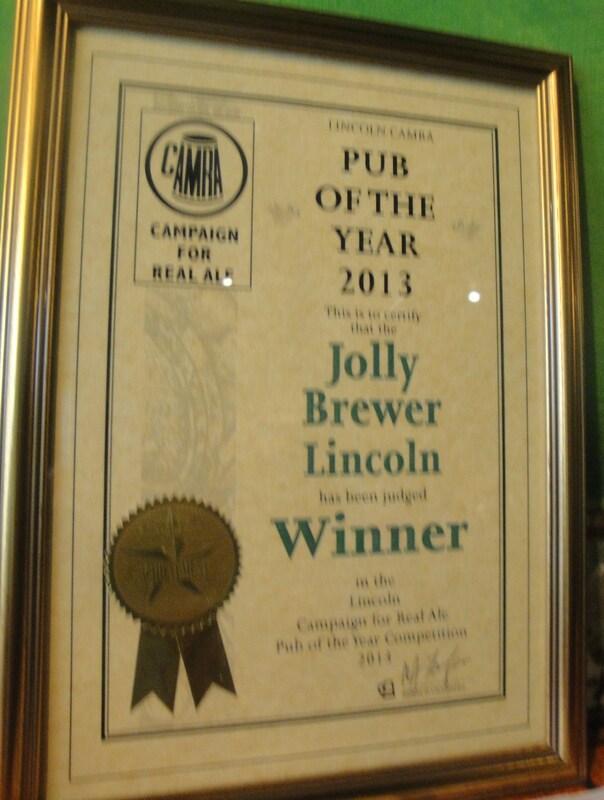 The last stop before that Dog’s Dinner was at the Jolly Brewer which in 2013 was named Lincoln Camra’s Pub of the year. Martin’s forward planning turned up trumps on this one. It was a bit dark inside and seemed to have the smell of real ale drinkers permeating through the air, then we realized it was probably us. 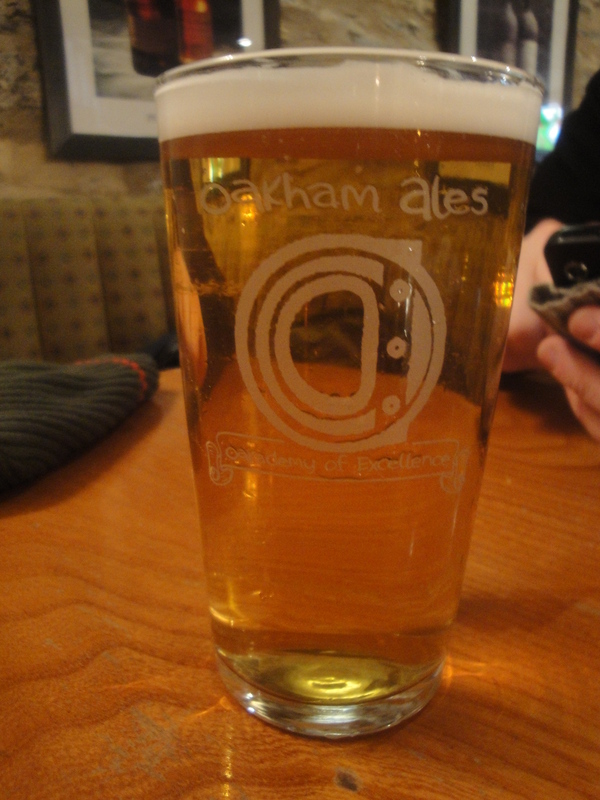 I just had to have a pint of Arkwrights “Open All Hours” ale. It was a very pleasant beer, a crisp golden ale with some floral hoppy notes. It also came from a pump with a picture of Arkwright and Granville on it which was an added bonus. 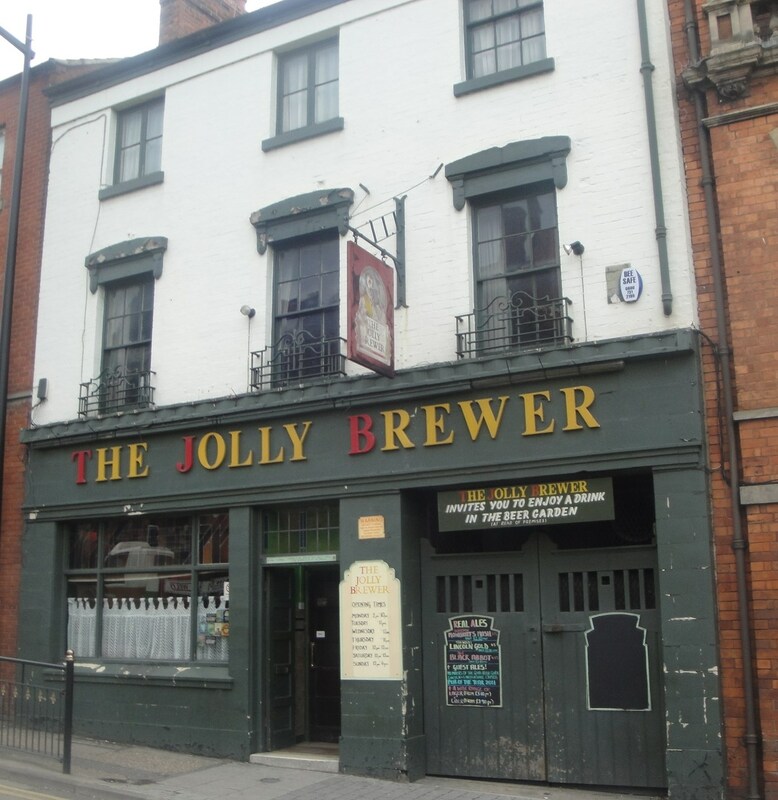 It was easy to see why the Jolly Brewer had the CAMRA recognition, but apart from the needs of real ale drinkers it s not exactly a destination pub. 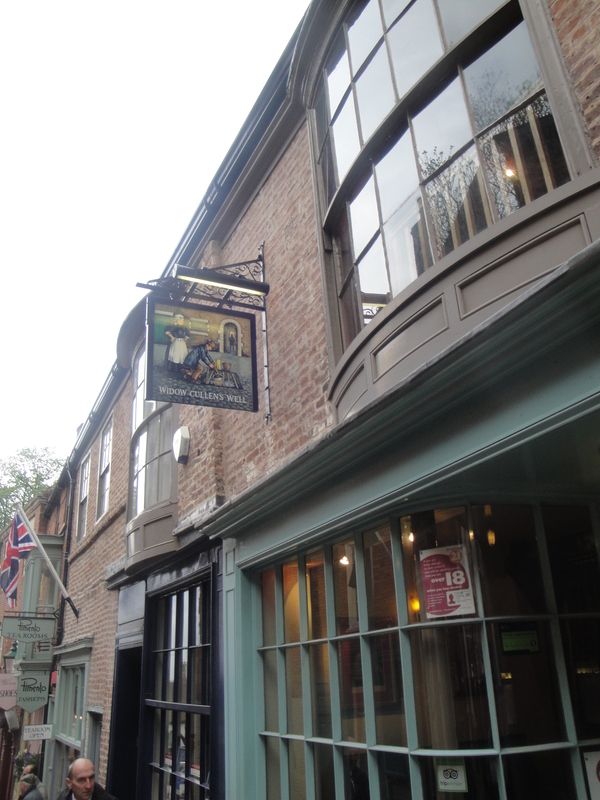 If you want to find that beer go to 27 Broadgate in Lincoln and check them out on Facebook. Overall a pretty good day out in Lincoln. 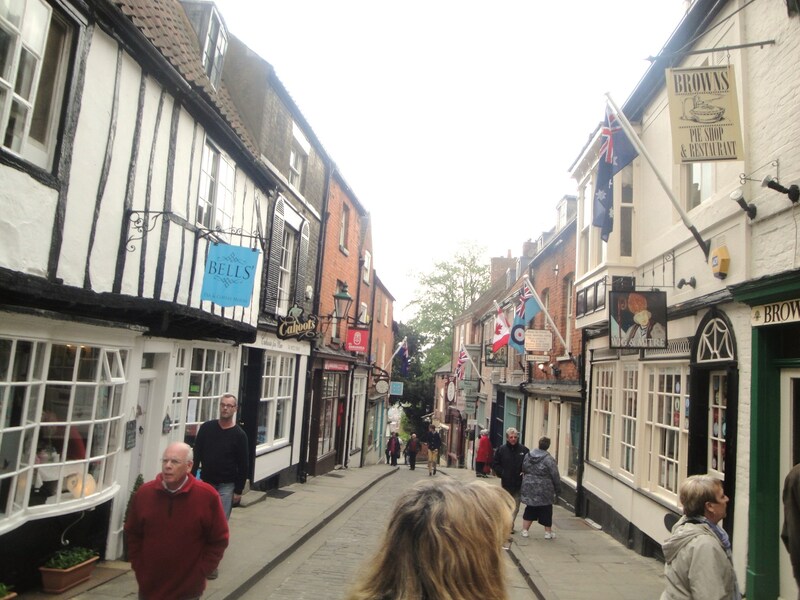 It turns out to be a very pretty city once you get up by the Cathedral area with a lot of interesting places to eat and drink. My advice would be to eat at one of those nice places! 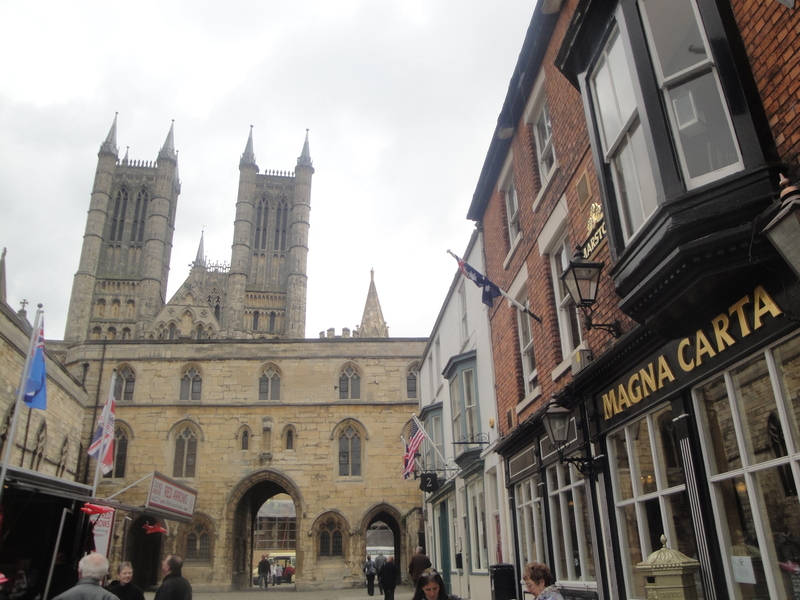 Lincoln has some great pubs but if you fail to eat when you get the chance you may well end up where I started this blog post with your face down in a Dog Bowl eating a Dirty Dog’s Dinner. Be safe out there.